In the Land of Oz, you have to be pretty special to be a ruler. The place is already full of magical people and creatures, so if you plan on being the boss of things, you'd better bring your A-game! There are also plenty of important decisions to make before you even become the ruler of one of Oz's quadrants. For example, would you want to be a generous and helpful leader, or would you rather rule through fear and treachery? In Glinda the Good Witch's case, it's pretty obvious that she went with being good, or maybe she's just a fan of ironic names. But we know what you're asking: how can a witch even be good? Aren't witches inherently bad? To that, we answer...nah, she seems pretty darn good, and since she's the ruler of the Southern Quadrant of Oz, she can call herself whatever she wants! 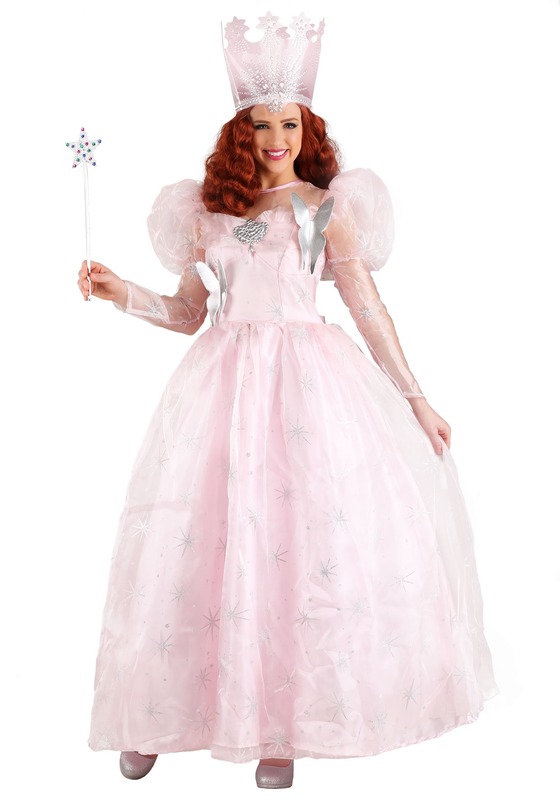 Watch over the munchkins and other good citizens of Oz in this Glinda Costume and prove to any non-believers that even witches can still be good! The satin and organdy materials making up the dress and bodice give off a gentle, sparkling shine to match your sweet, bubbly nature. A tall matching crown allows you to show off your status as The Good Witch of the South, and we recommend a sparkling wand to complete this magical ensemble. After wearing this for a while, you'll be able to decide for yourself if you want to keep being a good and helpful witch or if the Wicked Witch of the West had the right idea all along!